Eight days ago, I found myself inside a hands-on children’s museum in Gettysburg. By the way, I need to confess that the first time I went to Gettysburg (which was the 27th of December), I had to rewrite a lot of Civil War history in my head. For some reason, it never occurred to me that THE GETTYSBURG was in Pennsylvania. I sorta thought it was vaguely in Virginia-ish. Because my textbooks never said Gettysburg, PA. Only Gettysburg. Anyway, I digress. 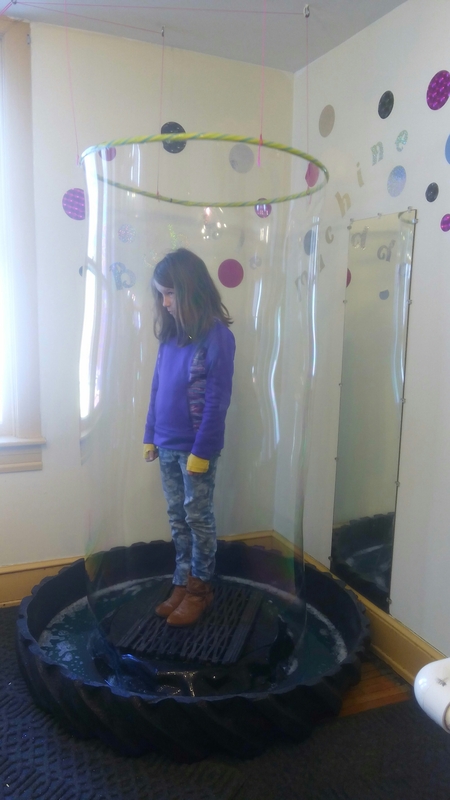 Here is my youngest child looking somewhat bored inside the giant bubble contraption. I know there exists a picture of me in the thing, but I don’t have it. And here is a picture of some paint I finally smeared on paper. Not that I have opened my own year-old paints yet. But the first step has been made. 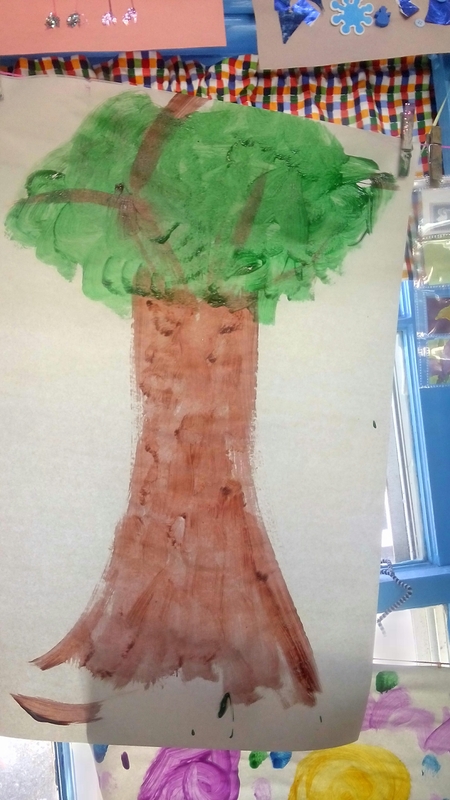 I can put cheap children’s acrylic on butcher block, and if I mean to make a tree, it comes out sorta tree-like. Good enough. I’m still somewhat intimidated, but not as intimidated as I was. Progress. And then there was this. It’s a simple contraption, just some wooden leaf things around a wooden pole. But in the tray on the bottom are wooden balls in different sizes. 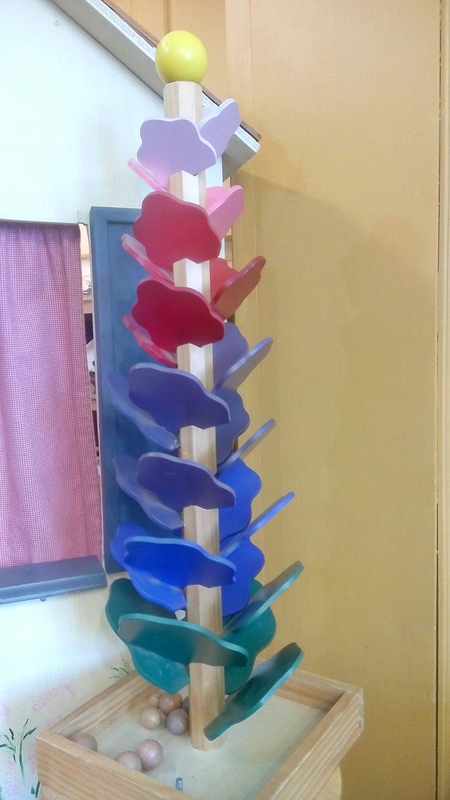 If you put the balls at the top, they roll down and make a noise of the musical type. Like scales. And if you drop the three different size balls rapidly one after the other, you get scaled scales. And for some reason, this just fascinated me. I did it over and over. And I want one of these for my very own, so I can do this every day. Bopbopbopbopboopboopboopboopbooopbooopbooop. I want it. Every day. This entry was posted on February 4, 2016, in cass goes. Bookmark the permalink.